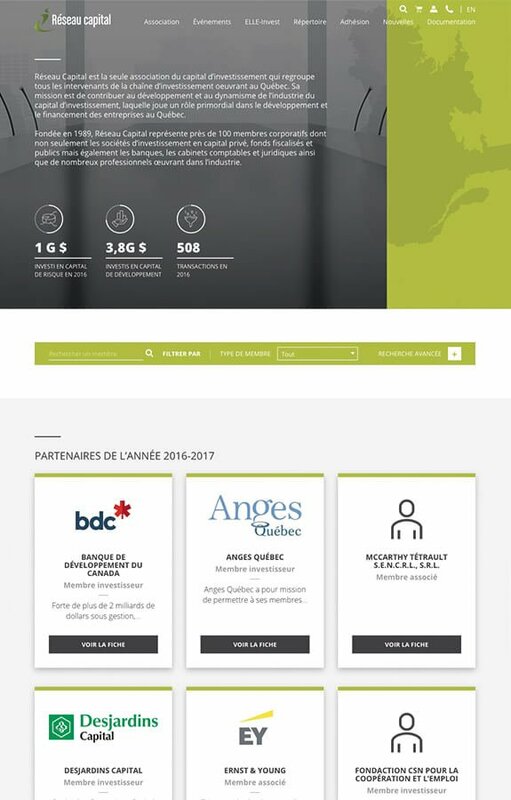 Mandate: To help support their activities and highlight Quebec’s investment capital network, Réseau Capital reached out to Poudre Noire to create a new, user-friendly transactional web platform that would allow the company to centralize their offer. 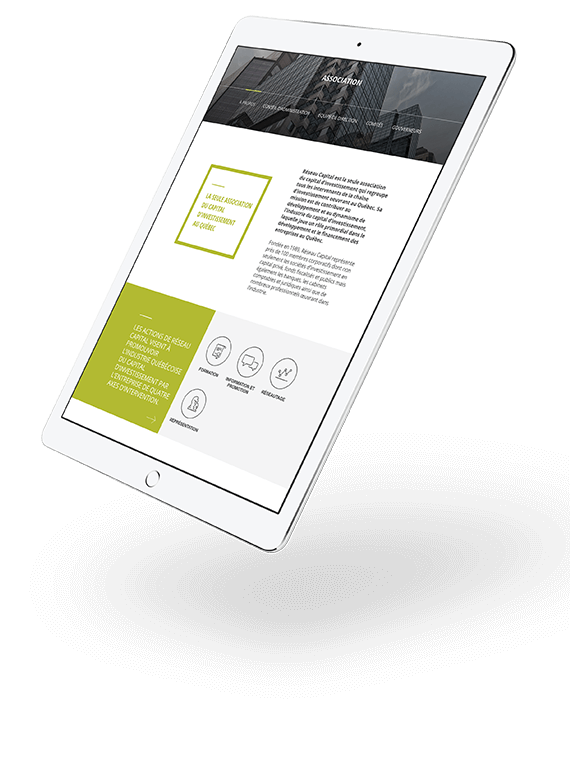 This was also supported through simplified functionalities for Réseau Capital members, which included a new system to facilitate member renewals and an event-management tool. 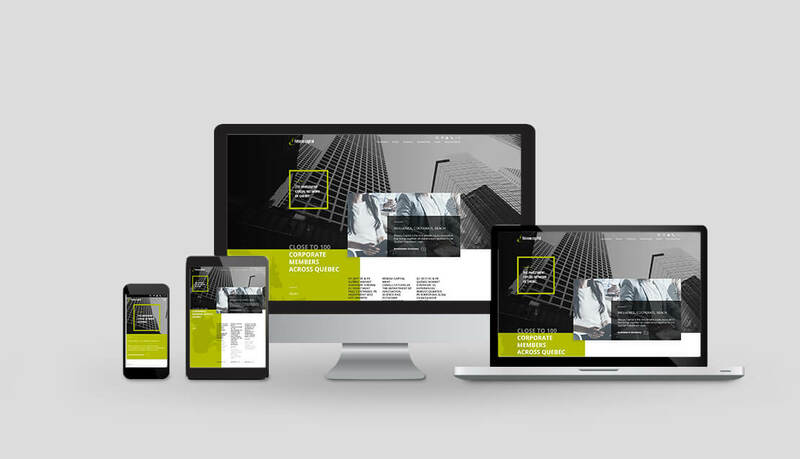 These options greatly improved the efficiency of the transactional part of the site as well as the internal resources and time needed to upkeep the site.  Réseau Capital is an association that groups together Quebec’s biggest players in capital investment. 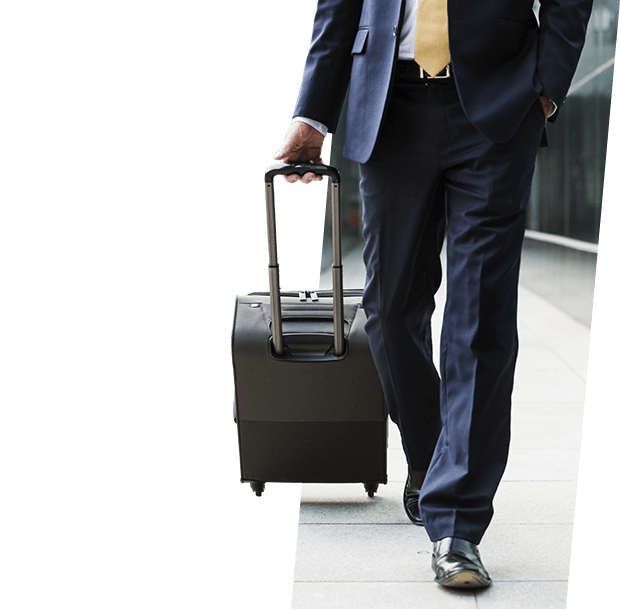 Their business model depends primarily on organizing multiple events, including their annual congress.